We are proud to bring you our new website filled with new pictures, resources, and links to other pages. We have completely changed the whole theme into something we hope is much simpler and cleaner for everyone. Click around. Stay a while. Leave some feedback if you would like. 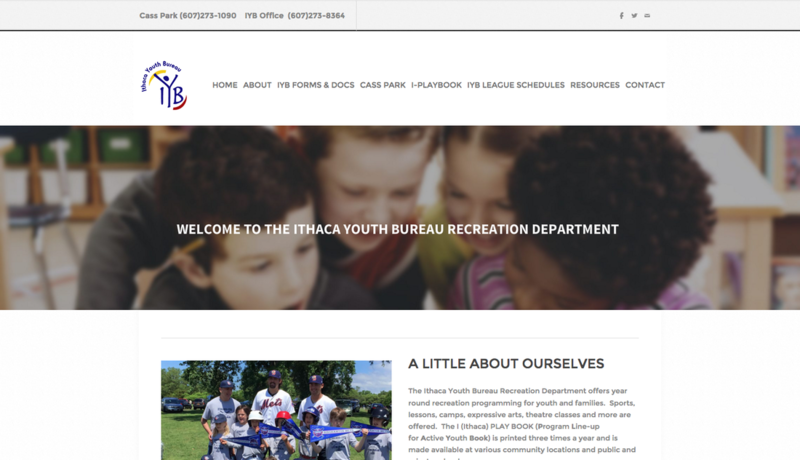 Enjoy and welcome to the new Ithaca Youth Bureau Recreation Department website! All the latest news, and reminders on what is going on in at the Ithaca Youth Bureau.